It is now easier than ever for restaurants and other food-and-drink establishments to get EPOS for their business. In the past, setting up any face-to-face business required extensive equipment, complicated software and long contracts, but options are generally simpler now. Practically all modern POS systems are cloud-based, meaning they rely on the internet to be synced up in real time. Some systems have offline functionality, sometimes requiring special equipment. Some of the best software only work on iPad, but there are still options for PC, Android tablets or Macs as well. That’s a few basics. You want to know the best restaurant POS systems? We’ve shortlisted the best five currently in the UK. 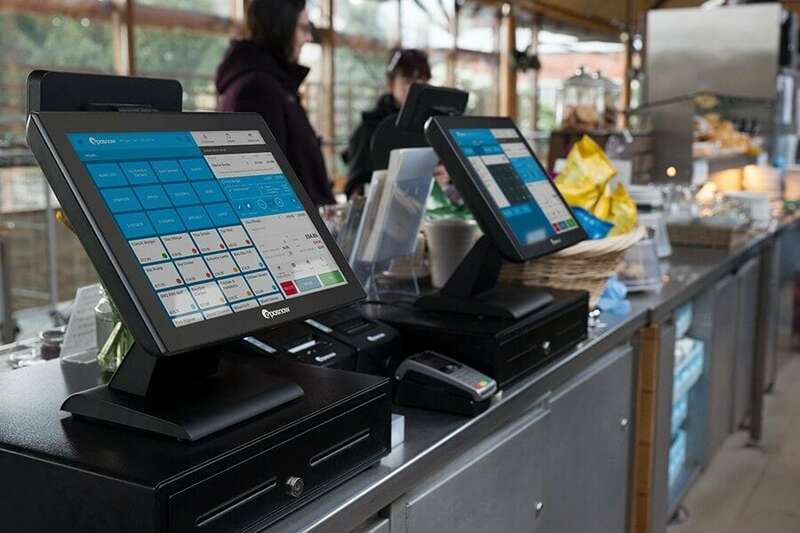 TouchBistro is an elaborate EPOS system created for restaurants and other food-and-drink businesses. The system is cloud-based, but can work offline too through a local network comprised of iPads connected to an iMac, Mac Mini or Mac Pro. If you’re using more than one iPad register, it is a requirement to have such an Apple network in place to connect them up. Their customer support is top-notch, both in terms of how easy it is to get help and their personal experience in the sector. Within the app, you can send screenshots directly to the support team who can then guide you more easily on the phone or by email – both available 24 hours a day, 7 days a week. You pay per iPad (one licence each) that uses the software. It is possible to pay monthly, quarterly, biannually or yearly, but the minimum commitment is a year. Licences include all TouchBistro features, but extra customer loyalty plans are available through a third party integration. Customer loyalty features are limited in TouchBistro’s own app, and they cost from £29/month to add on your devices. The features are comprehensive and useful, with both the standard functionality and thoughtful extras designed to maximise the customer service experience. It’s also possible to add a self-service kiosk where people can order from, customer-facing displays, and a kitchen display to maximise the process of food ordering – all available via separate, dedicated apps created by TouchBistro. Can I try it out before committing? Yes, TouchBistro offers a 7-day free trial without the need to register with a username, and 21 days extra if you register with a username. You can also book a free demo. Lightspeed Restaurant boasts a large number of features, making it a very adaptive POS system for small-to-large food establishments. It is an online system, but can work offline with a Lite Server purchased in addition to the local computer network. Without this, you can only use the software when it’s connected to WiFi or 3G. Lightspeed offers all new users a free video onboarding session where you can have all your questions answered. They also have customer support lines open 24 hours, seven days a week – excluding holiday periods. Emailing and chatting via the website are also possible, and there’s a help section on their website. Lightspeed Restaurant prices start at £79/month per store, which is the price calculated for paying annually. Paying monthly costs more – the only way to find out how much is to contact for a quote, as it will depend on your exact business requirements. They offer all sorts of feature add-ons that incur extra costs. Cancel the subscription any time without a penalty fee, but it is not possible to get a refund for licences already paid. Although Lightspeed Restaurant is for face-to-face businesses, it can be integrated with ecommerce also offered by Lightspeed. The Lightspeed Restaurant features are the same for each licence, but extra apps are available for users: Self-Order Menu so customers can order and pay themselves, Kitchen Display for efficient food ordering, and Customer Facing Display so people can see what they’re buying. Can I try it out before committing? Yes, you can sign up for a 14-day free trial with unlimited access to features without entering credit card details. During this time, you can call them as much as you like to get any questions answered. 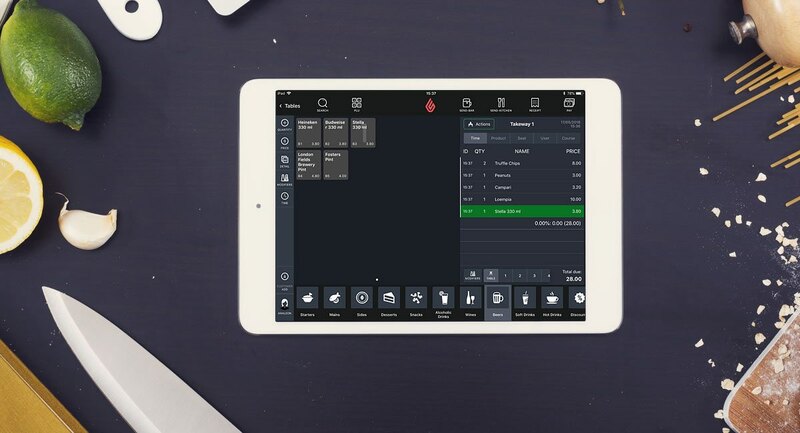 iZettle Pro is a straightforward EPOS system made for restaurants and other types of small food businesses. It runs only on iPad and is synced in the cloud, but can run many functions smoothly offline (card payments will need a network connection). It works perfectly with iZettle Reader, which is purchased at a low price, after which iZettle Pro users only pay a fixed 1.25% rate for card payments. They offer customer support every day of the week, but only during working hours between 10am and 7pm through phone, email and live chat through the app. The online help section provides plenty of guidance if you prefer to find answers yourself. 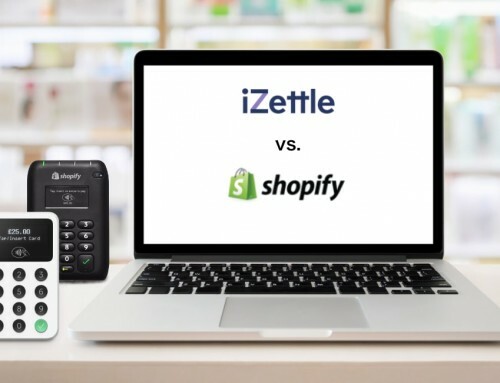 iZettle generally ranks highly for their service and products. In fact, it is the most popular mobile card reader provider in the UK. Compared to many other EPOS systems, the £39 + VAT licence per month is a low-cost subscription for one or few iPads. However, additional iPad licences each cost the same, as opposed to other providers who typically reduce the price for extra registers. 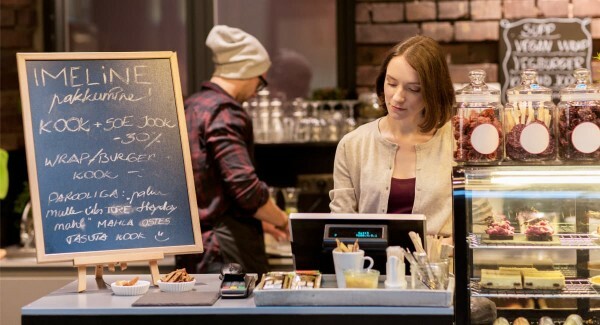 The costs can therefore easily rack up for a small business with many tills, making this solution economical mostly for small restaurants, cafés and bars. That being said, the low transaction fee with iZettle Reader is an attractive selling point. Furthermore, it is easy to get started, and you’re always open to cancelling or upgrading the system any time. Can I try it out before committing? Yes, you can sign up for a commitment-free 7-day free trial. During the trial, you’re free to call iZettle to get any questions answered. Epos Now is a scalable system that works on PC, Mac, iPad and Android tablets. It’s suitable for small businesses as well as large international corporations. 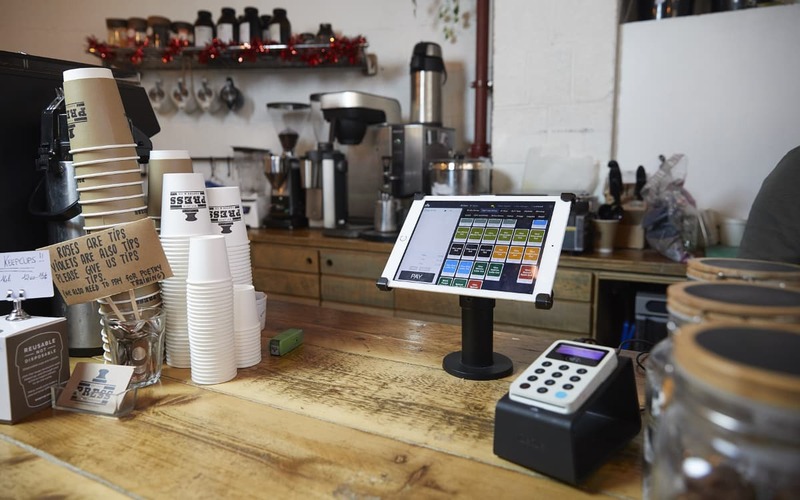 Epos Now sells hardware packages with touchscreen monitor, receipt printer, cash drawer and more, and the system can be used with a wide choice of card terminals and processors. They offer 24/7 customer support, but only on the Premium plan. The Standard licence only includes email support and some initial help with setting up, so it is expected you can manage most things yourself on the cheapest plan. On the Enterprise plan, you can get onsite support. 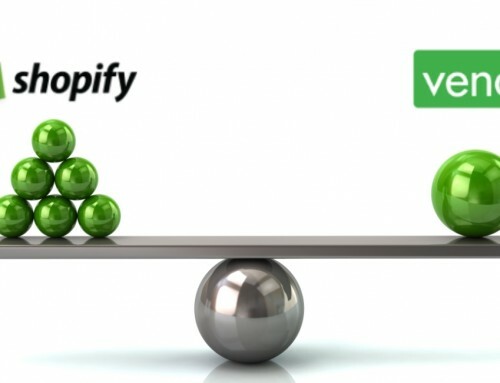 There are three tiers of subscription plans: Standard, Premium and Enterprise. In all of them, you can add unlimited products, users and customers, and software and security updates are included. The Standard and Premium plans both have cloud reporting, while the Enterprise plan has more advanced reporting. For budget-conscious companies, the additional charge for customer support, i.e. you have to be on Premium, could be a deal-breaker considering other POS systems typically include phone support at any price level. 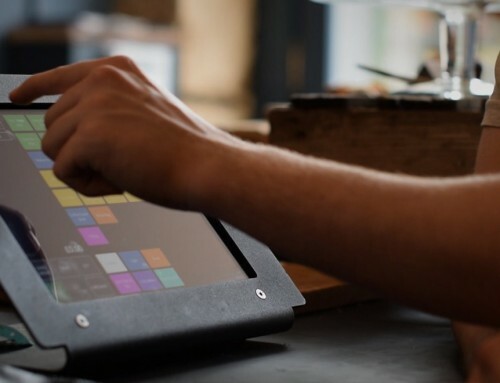 While there have been reports of features being limited, technical issues getting started and usability challenges, Epos Now offers a good range of essential functions for restaurants and the option to integrate with ecommerce. You can also rent POS equipment from them if you can’t afford to purchase hardware. Can I try it out before committing? You can request a demo and free 30-day trial through a contact form on the website. Just beware that Epos Now is known for using contact details for marketing purposes, which you may need to opt out of. Goodtill – previously referred to as The Good Till Company – offers modular POS plans so you only get the features relevant to your business. First off, you subscribe to a Core POS Module, which you then add Optional Modules to – including a Hospitality Module relevant to food-and-drink places. The system works only on iPad, and the dashboard with analytics is accessed in a browser. While Goodtill gets good user reviews, it is less clear when their support lines are open – we just know they offer customer support. Their online help section covers a good amount of topics, and they support a number of third party integrations. 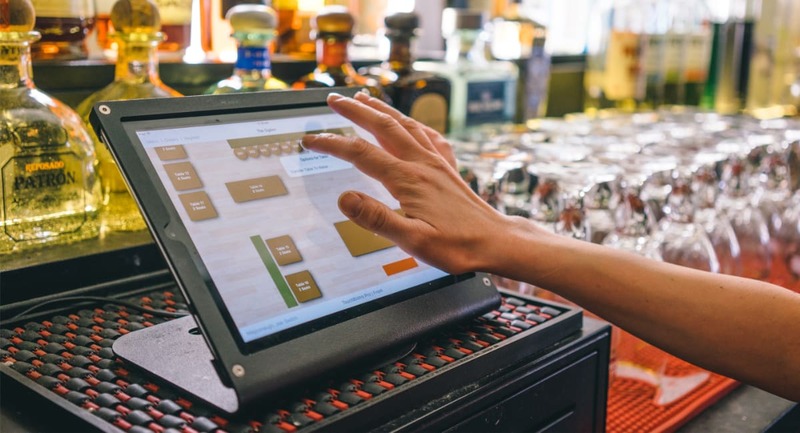 Initially, it can seem like a cheap system at £29 a month per iPad, but the additional modules you may need for a restaurant could make the final cost high. The core module includes decent reporting and basic POS features suitable for different face-to-face businesses. Restaurants would definitely need the Restaurant Module (£9/site), and possibly additional modules including Kitchen Display (£9/screen), Advanced Loyalty (£9/site), Advanced Promotions (£9/site), Customer-Facing Display (£9/outlet), Click and Collect (% of transaction), and others. Also note that all these prices are per month, and possibly on an annual plan. Monthly plans are typically more expensive. Goodtill can be used with several card machines from providers including iZettle, SumUp and Paymentsense. Hardware can be purchased from their online store, but using your own equipment is also fine, provided it is compatible. Can I try it out before committing? Yes, you can request a demo and free trial from the website. After submitting contact details, Goodtill will get back to you to discuss trial options.